Chorea is neurological disorder characterized by involuntary movements of the body, which may sometimes appear like dance movements. They are irregular and do not follow any pattern, and may move from one part of the body to another, usually involving the extremities and face. The involuntary movements may involve facial grimacing, grunting noises, tongue movement and jerking, seen even during rest. Mild forms of movement may involve restlessness or fidgety movements of the hands, while more severe forms may show as an unstable dance or a continuous flow of violent, disabling movements. To investigate your condition, your physician will perform a detailed review of your medical history and physical examination. You will be examined for signs of infection and neurological symptoms. Blood tests and imaging tests such as MRI are performed to determine the underlying condition. Your treatment is based on the underlying condition causing chorea. If the cause is infection, your doctor prescribes antibiotics. Other medications including anticonvulsants and drugs that lower the brain chemical dopamine, may be prescribed. If symptoms do not improve with medication, your doctor may suggest deep brain stimulation, a surgical procedure where electrodes are implanted in the brain to regulate nerve activity. Epilepsy is a condition characterized by recurrent episodes of involuntary shaking (seizures) that occur due to abnormal electrical activity in the brain. While epilepsy does not stop you from becoming pregnant, particular care needs to be taken to protect you from seizures and also help you give birth to a healthy baby. During pregnancy, seizures may remain the same or in some cases even reduce, but in many, it may increase due to emotional stress and reduced sleep. A seizure episode during pregnancy may cause a drop in fetal heart rate, fetal injury, and the need for premature labor and delivery. Controlling your seizures is critical during pregnancy. However, regular anti-seizure medication may produce skeletal, heart and urinary tract defects, or fetal anticonvulsant syndrome characterized by glow intellectual ability, poor language skills, problems with memory, delayed developmental milestones and autistic spectrum disorders. If you think you might be pregnant, it is important to contact your doctor and neurologist immediately. Your doctor may alter your medications to something safer for your child and you. In addition to altering your medications your doctor will prescribe medication to reduce the chance of birth defects. You will need to make regular visits to your doctor’s office during your pregnancy where your blood pressure and weight are checked, and blood tests are performed to assess medication levels. Your baby’s growth and development is also closely monitored. You will be prescribed with a higher dose of folic acid and vitamin K supplement as well. Seizures do not usually occur during labor. If they do, they can be adequately managed by medication, or in case of prolonged seizures, a C-section may be performed. Breastfeeding is generally considered safe, but you are advised to check with your physician before starting. Epilepsy is a condition caused by abnormal electrical activity in the brain that produces symptoms such as confusion, staring spells, and most commonly, episodes of involuntary shaking (seizures), which may be followed by periods of unconsciousness. Epilepsy usually begins in childhood. 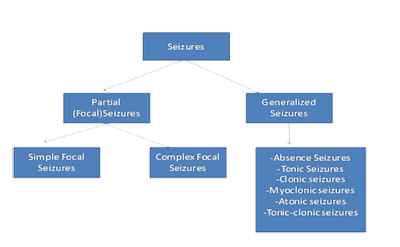 Seizures may be generalized, involving the whole brain, or partial, where a part of the brain is involved. Generalized seizures may present as staring spells, unconsciousness, sporadic jerking movements, muscle rigidity, or loss of muscle tone causing your child to fall down. Partial seizures may produce changes in sensation (hearing, vision, smell, taste or touch), involuntary chewing, lip smacking and other repetitive movements, and emotional disturbances. Your child’s doctor will try to rule out other possible causes of seizures before confirming a diagnosis of epilepsy. A thorough history and physical examination is performed. Your child’s doctor may order blood tests, an electroencephalogram (EEG), to study the electrical activity of the brain, and an MRI to look for brain abnormalities. After diagnosing epilepsy, your child’s doctor will decide whether or not anti-seizure medication should be started. This will depend on the kind of epilepsy, chances of recurrence, age of your child and presence of developmental or behavioral abnormalities. If medications are ineffective, surgery may be suggested such as vagus nerve stimulation, where an implanted device reduces the frequency of seizures, or resection of specific regions of the brain from where the seizures arise. You may be advised to start your child on a low-carbohydrate, high-fat diet. Epilepsy and epileptic treatment may lead to learning disabilities and changes in behavior. Appropriate support should be provided to help your child to cope. Epilepsy is a condition characterized by recurrent episodes of involuntary shaking (seizures) that occur due to abnormal electrical activity in the brain. It is usually treated with medication, but sometimes patients do not respond adequately to treatment with medications. In such cases seizures continue, affecting activities of your daily living. This is a drug resistant form of epilepsy called refractory epilepsy. You are considered to have refractory epilepsy when your doctor orders at least two different types of medication and you do not respond to them. Refractory epilepsy can also occur when you are more prone to potential side effects or non-tolerant to epileptic medication, which makes it difficult for your doctor to prescribe them. Hence, easily treatable seizures can become hard to treat. If you have refractory epilepsy you have a greater risk of injuries, cognitive problems, social issues, and fear of when your next attack will interfere with your daily activities. To diagnose your epilepsy as refractory, your doctor may perform a detailed medical history and physical examination. The nature of your seizures and your existing medication regimen will be reviewed. An electroencephalogram (EEG) may be ordered to study the electrical activity of your brain, and CT or MRI scans may be performed to look for abnormalities. At first your doctor may try altering your medications or trying a combination of drugs. If this does not show improvement, non-medication approaches may be suggested. Your doctor may recommend a ketogenic diet (low-carbohydrate, high-fat). Your surgeon may perform a surgical resection of a region of your brain where seizures arise. If you do not respond to surgery, vagus nerve stimulation may be suggested, where a device implanted in your chest stimulates the vagus nerve in the neck, which sends impulses to your brain, reducing the incidence of seizures. Epilepsy is a disorder of the brain characterized by recurrent seizures which are episodes of involuntary shaking, produced as a result of abnormal electrical brain activity. Medications are available and effective in controlling a large number of epilepsy cases; however, if your epileptic attacks are severe and cannot be controlled by medications alone, or you are experiencing severe side effects from the medication, surgery may be a good option to consider. Before deciding on surgery your doctor will confirm the exact area of your brain producing the seizure (seizure focus) and ensure that it is not responsible for vital functions such as movement and language. Corpus callosotomy: Cutting the band of nerve tissue that connects the two halves of your brain to prevent seizures from spreading to the opposite side. Vagus nerve stimulation: Implantation of a device under your skin to control the vagus nerve, which is responsible for regulating activity between the brain and major organs. Responsive neurostimulation: Implantation of a neurostimulator in your skull to detect and normalize abnormal electrical activities of seizures before they occur. Surgery is effective in a large number of cases. However, as with all surgical procedures, epilepsy surgery may be associated with certain risks such as infection, bleeding, failure and requirement for reoperation or the development of new neurological problems. You may be completely free of seizures following surgery, but may have to continue your anti-seizure medication until your doctor decides it is safe to discontinue them. The temporal lobe of your brain is responsible for memory, emotions, and visual and auditory perception. Seizures (abnormal brain activity) may sometimes originate in the temporal lobe and produce a mixture of emotions such as sudden unprovoked fear, an odd taste or odor, a feeling of déjà vu, and involuntary movements like chewing and smacking your lips. Following a seizure you may be aware of your surroundings or have a period of confusion and no recollection of the event. Repeated seizures over time can lead to memory loss and learning difficulties. The cause of temporal lobe seizures (TLS) is mostly unknown, but may result from traumatic brain injury, stroke, infections like meningitis and encephalitis, and tumors. To diagnoses TLS, your doctor will question you and your family members in detail regarding your symptoms, and perform a thorough physical examination. Neurological examinations to test reflexes, muscle strength, coordination and balance may be performed. Blood tests and imaging scans may be ordered to identify possible causes of seizure. Electroencephalography (EEG) may be performed to study the electrical activity of the brain. In order to treat temporal lobe epilepsy, your doctor may start you on appropriate anti-seizure medication. In case medications do not adequately control the seizures and symptoms are severe, your doctor may recommend surgery which is effective in reducing the incidence of seizures and sometimes even stopping them. Vagus nerve stimulation, responsive neurostimulation and deep brain stimulation are procedures that may be suggested to deliver electrical stimulation to the affected part of the brain, and control the seizure. Dystonia defines a group of movement disorders characterized by slow repetitive involuntary muscle spasms and contractions. Focal dystonia is a type of dystonia in which the movement disorder is localized to one part of the body. Focal dystonia may affect the eyelids (rapid blinking or closure), neck (contractions cause the head to twist or pull to one side), vocal cords (spasm affect voice) and arms (writer’s cramp).The two most common areas affected are the eyelids and the neck. Task-specific dystonias, such as writer’s cramp and musician’s cramp, show uncontrolled movements of the hands only during the specific task (while writing or playing an instrument) and not during other activities. Focal dystonia may be primary, caused by an abnormality in a part of the brain called the basal ganglia which is responsible for controlling movement, or may be secondary, associated with other conditions such as multiple sclerosis and Parkinson’s disease. Most cases of focal dystonia can be identified by physical examination alone; however, your doctor may order blood tests, urine tests or imaging scans to identify related conditions, and electromyography (EMG) to measure the electrical activity of muscles. Focal dystonia cannot be cured, but symptomatic relief can be obtained through medications and Botulinum toxin (Botox) injections, which are useful in reducing the painful muscular spasms in a particular area like the neck. Some ways of coping with focal dystonia include reducing stress, getting adequate sleep, moderate exercises and reducing the movements that trigger or worsen the condition. Sometimes touching the affected area or a surrounding area can alleviate the symptoms. This is known as a sensory trick. Friedreich’s ataxia is rare inherited neurological disorder affecting movement. It causes degeneration of the spinal cord and the lower part of the brain called the cerebellum, leading to progressive loss of muscle control (ataxia) and sensory functions. It is also associated with heart and spine problems. Symptoms first appear as gait abnormality, usually between the ages of 5 and 15. This loss of muscle control later spreads to your trunk and arms. You may experience loss of sensation and reflexes, problems with speech and vision, shortness of breath. Heart problems such as cardiomegaly (enlarged heart) and fast heart rate, orthopedic conditions such as foot deformities and scoliosis, and diabetes may develop. When you present to the clinic with the above symptoms, your doctor performs a thorough history and physical examination including testing your gait, loss of reflexes and sensations like touch. You may be asked to undergo nerve conduction studies, electromyogram (study the electrical activity of muscles), electrocardiogram and echocardiogram (study heart rhythm and rate abnormalities). MRI and CT scans of your brain and spinal cord may be ordered to rule-out other neurological problems. Blood tests may be performed to check your sugar levels, and genetic testing helps confirm on the diagnosis of Friedreich’s ataxia. There is no cure for the nerve degeneration seen in Friedreich’s ataxia; however, your symptoms and complications may be adequately managed by your physician. Physical therapy may be helpful in retaining muscle control of the arms and legs. Diabetes, orthopedic conditions and heart diseases can also be managed. Encephalopathy is a functional or structural disorder of the brain that is considered to develop from a primary problem, such as brain tumor, kidney problem, or liver disease. The chief characteristic feature of encephalopathy is an altered mental state. Encephalopathy is best described by terms that precede the word “encephalopathy”. Each of these terms gives an idea about the reason, cause, or special conditions of the patient that lead to malfunctioning of the brain. For example, the term anoxic in anoxic encephalopathy means lack of oxygen. Hence, anoxic encephalopathy is damage to the brain caused due to lack of oxygen. Encephalopathy symptoms vary depending on the type and severity of the condition. Common neurological symptoms include loss of high-level brain functions such as thought processing and remembering information, subtle personality changes, concentration issues, lethargy, and progressive loss in consciousness. Encephalopathy is diagnosed based on physical examination and medical history review. Your doctor may order tests such as blood tests, spinal tap, scans (CT, MRI), and EEG. Treatment is decided based on the type and severity of the encephalopathy. Symptom-specific medication along with vitamins or supplements may be given. Nutritional supplements and diet changes may be recommended for some patients. In conditions such as an excess of toxins in the body, dialysis or organ transplant would be required. Prevention is better than cure. Some of the preventive steps that can be taken include avoiding over dose of alcohol, drugs and medicines, opting for early treatment in conditions such as liver disease, and taking precautions to avoid exposure to poisons or toxins. Tension headaches: Tension headaches are the most common type of headaches that occur when the head and neck muscles contract due to stress, poor posture, fatigue, eye strain, alcohol and tobacco use, and with hormonal changes in women before and after a menstrual period. Tension headaches may occur at any age, but occur mostly in adults and adolescents. Migraine headache: A migraine is felt as a throbbing pain on one side of the head. The exact cause is unknown, but may occur from a series of changes in brain activity, and may be associated with alcohol use, smoking, lack of sleep, prolonged muscle tension and stress, changes in hormone levels during menstrual periods, or with the use of oral contraceptives. Migraines occur more often in women than men and may run in families. Cluster headaches: Cluster headache is a less common type of primary headache. The cause is unknown, but abnormalities in an area of the brain called the hypothalamus may be involved, and are triggered by certain factors such as changes in sleep patterns and use of certain medications. It is most common in men in their late 20s, and tend to run in families. Cranial neuralgias, facial pain, and other headaches: Cranial neuralgia is pain or discomfort in the head or neck caused by inflammation of the nerves located in the head and upper neck. Facial pain can be caused from a nerve disorder, an injury, or an infection in a structure of the face or it may occur for no known reason. Migraine headaches often cause a throbbing or pulsating sensation usually on one side of the head. It may occur with symptoms such as nausea, vomiting, visual disturbances, and sensitivity to light and sound. The pain can last a few hours or even up to one or two days. Cluster headaches have a characteristic grouping or clustering of attacks. People with cluster headaches usually have pain lasting for 30 to 90 minutes, once or twice daily, for weeks or months, followed by pain free periods. Attacks tend to occur at the same time each day and often wake the person from sleep. The pain is extremely painful and may occur behind and around one eye. An MRI or CT scan of the head may be needed to rule out other causes of the headache. Lumbar puncture (spinal tap) is the removal of cerebrospinal fluid, or CSF (fluid surrounding the spinal cord and the brain) from the spinal canal to diagnose disorders affecting the brain and spinal cord. Temporal artery biopsy is the removal ofa sample of blood vessel from your temple to check for signs of inflammation. Your doctor may suggest keeping a headache diary to help identify your headache type and recommend effective treatment. To control tension type headaches, over-the-counter (OTC) pain medications are prescribed. Abortive medications are taken during migraine attacks as they work quickly. They are effective in people who have nausea and vomiting with their migraine. Preventive medications are taken on a daily basis, to reduce the severity or frequency of the migraine attacks. The treatment of cluster headaches is very difficult. Your doctor may treat cluster headache with oxygen inhalation, triptan medicines (constrict blood vessels and block pain pathway to brain), and the use of intranasal applications of a local anesthetic agent. Medications used to prevent additional headaches include blood pressure medications, antidepressant medications, and drugs used to treat seizures. Pain in any region of the head is called a headache. It may involve one or both sides of the head and may radiate to the neck and shoulders. You may experience dull pressure, a throbbing sensation or sharp pain that may last anywhere between an hour to days. In some cases it may indicate a serious underlying disease. Primary headaches are caused by stress, anxiety or certain triggers. They occur due to an overactive pain-sensitive region in the head and are not associated with any other condition. Common primary headaches can include tension headaches (result from tight muscles in the neck, scalp and shoulders), migraine (throbbing pain in one side of the head) and cluster headache (occurs in patterns or clusters). Secondary headaches may be described as a symptom of another condition such as ear infections, sinusitis, dehydration, panic attacks, meningitis (inflammation of the membranes covering the brain and spinal cord) and concussion (brain injury), which may trigger the pain-sensitive region in the head. If your headaches are severe and occur frequently it is necessary to contact your doctor who will perform a detailed exam of your head, ears, eyes, nose, neck, throat and nervous system, and question you about your symptoms and lifestyle to identify any triggers or underlying disease. A CT or MRI scan and blood tests may be ordered. A lumbar puncture that studies the fluid surrounding the brain and spinal canal may be helpful in diagnosing infections. To treat tension headaches your doctor may prescribe pain medications. Medication may be provided for other symptoms such as nausea. For secondary headaches, treatment is focused on the associated condition. Your doctor may also recommend other ways of managing headaches, such as massage, relaxation therapy and avoiding triggers. If your headaches occur on a daily basis, at least 15 days a month for 3 months, and is not associated with any underlying cause, you may have a condition called chronic daily headaches (CDH). The cause of chronic daily headache is unknown, but could be due to an abnormal development of low pain threshold or lack of pain suppression in the brain. To diagnose your headache your doctor will review your medical history and perform a physical examination to define the type of headache and possible causes. You may need to undergo CT and MRI testing to look for abnormalities, blood and urine tests, or electroencephalography to study the electrical activity of the brain. In the absence of secondary causes, your doctor will focus treatment on preventing headaches. You may be prescribed antidepressants, anti-seizure medications, NSAIDs and blood pressure medication. Relaxation therapy may be recommended and botulinum toxin (Botox) injections may be given. Headaches in women are more likely to occur around the time of a woman’s monthly period. This is caused by shifts in the level of a female hormone called estrogen that regulates the menstrual cycle. The headaches may be migraine-like in quality and occur before or during the menstrual cycle. A migraine is a type of headache characterized by severe throbbing pain on one side of the head accompanied by secondary symptoms such as nausea and vomiting. To diagnose the cause of your headaches your doctor performs a thorough medical history and physical exam to rule out other causes. You will be asked to maintain a diary and note down the pattern and coincidence of the headaches with menstruation. To treat your headache, your doctor may prescribe over-the-counter pain relievers or migraine medication. You may be instructed to take these medications a day or 2 before your menstrual cycle and continue it until the end of your cycle. If these don’t work, your doctor may prescribe drugs that alter your hormone levels. You may also be advised to follow a low salt diet. A migraine is a type of headache characterized by severe throbbing pain on one side of the head accompanied by secondary symptoms such as nausea, vomiting and sensitivity to light, sound or smell. Other symptoms may include lightheadedness and blurry vision. A migraine may be preceded by an aura, a neurological warning sign, which may occur 10 to 15 minutes before an attack. These include flashes of light, tingling sensations, or speech problems. Sometimes, you may have migraines without an aura. A migraine may last from a few hours to 3 days. To treat migraine your doctor may prescribe medications that prevent migraines to be taken on a regular basis, or abortive medications that are taken when a migraine occurs. Certain medications used for other purposes such as anti-nausea medication, blood pressure medications, anti-seizure medications, or antidepressants are also effective in treating symptoms of migraine. Long-term use of headache medications to treat conditions such as migraines may produce rebound headaches, also called medication-overuse headaches. If taken more than a few days a week on a regular basis, any pain medication can trigger rebound headaches if you already have a headache disorder. Rebound headache depends on the original headache being treated. They may occur frequently, nearly every day, mostly on waking, and may be accompanied by restlessness, nausea, memory problems, difficulty concentrating and irritability. Severe forms of rebound headaches may be associated with fever, double vision, stiff neck, seizures and difficulty speaking. It may worsen even after rest and pain medication and wake you up from sleep. To treat rebound headaches your doctor may advise you to reduce or stop your current pain medication. Your symptoms may worsen initially and you may experience withdrawal symptoms such as restlessness, nausea or constipation for 2 days to sometimes several weeks. You may require hospitalization if you have developed drug dependency or if you have associated conditions such as depression and anxiety. Your doctor may prescribe alternative medications to manage your headaches and the side effects of medications. Cognitive behavioral therapy may be recommended, which teaches you ways of coping with headache. Tension-type headache is the most common type of headache and is characterized by dull pain and tightness in the head, neck and shoulders on both sides. It may be either episodic (30 minutes to a week) or chronic (more than 15 days a month for three months) but does not usually affect activities of daily living. It is more common in women. The exact cause of tension headaches is not known but it may be due to an increased sensitivity to stress. Poor posture, eye strain, dehydration, bright sunlight or missed meals are some of the triggers of tension headaches. Tension headaches are usually diagnosed with a thorough physical exam and neurological tests that study the characteristics and location of your headaches. If your headaches have an unusual pattern, imaging tests such as CT orMRI may be performed to rule out underlying causes such as a tumor or injury. Tension headaches may be treated by making appropriate lifestyle changes and avoiding triggers. Relaxation techniques such as massage, yoga and exercise may be suggested. Your doctor may prescribe simple pain relievers or muscle relaxants to treat headaches. If your headaches are frequent or severe, your doctor may prescribe medications to prevent headaches that you take on a regular basis. Hydrocephalus means water on the brain. It is characterized by the excessive accumulation of cerebrospinal fluid (CSF) surrounding the brain inside the skull. Excessive accumulation of fluid within the limited space of skull imparts pressure on the brain and causes damage to the brain tissue. It mostly occurs in children but may also occur in adults and old people. It occurs due to birth defect, genetic defect, and infection of the central nervous system, injury or tumors of the brain or spine. The diagnosis can be confirmed by CT scan of the head. Other imaging test such as skull X-rays, brain scan, ultrasound and arteriography may also be used. Sometimes lumbar puncture and examination of the cerebrospinal fluid is also done. Multiple sclerosis is an autoimmune disease of the central nervous system (brain and spinal cord) affecting the myelin sheath which insulates nerve cells and is important for the transmission of nerve impulses. This causes the relay of information between the brain and the rest of your body to either slow down or stop and can lead to muscle weakness, difficulty with coordination and balance, vision and speech difficulties, tremors, dizziness, and cognitive difficulties. A large percentage of people with multiple sclerosis also have bladder problems. These may include urinary urgency, incontinence (no control over urination), nocturia (frequent urination at night), and hesitancy (difficulty initiating urination). This is caused by loss of control of the bladder muscles that governor the flow of urine. If left untreated, bladder problems can lead to urinary tract infection, kidney damage and problems with hygiene. To aid in diagnosis, your doctor may order an ultrasound scan to check the residual volume of urine in the bladder. Treatment is based on avoiding complications such as retention of urine and infection. Your doctor may ask you to limit your fluid intake to 2 liters per day, and minimize coffee, tea, soda and alcohol which can worsen bladder control. You will be taught to train your bladder to void only at specific interval, and perform Kegel exercises to strengthen the pelvic floor muscles that control bladder function. Your doctor may prescribe medications to help with incontinence and suppress urgency. Diapers, shields, and other absorbent material may be recommended to aid with hygiene. Certain mechanical aids such as the use of a catheter (thin long tube is inserted to drain urine), urethral insert (thin solid tube is inserted to block urine) and external urethral barriers (adhesive patch is placed over the opening of the urethra), may be used to control incontinence. Multiple sclerosis may affect coordination and control of the muscles responsible for emptying the bowels. This may lead to constipation(bowel movements are infrequent and strained), bowel incontinence (no control over bowel movements), diarrhea (frequent loose waterystools). Bowel problems can also aggravate other symptoms of multiple sclerosis such as bladder dysfunction (inability to control urine flow) or spasticity (stiff muscles). In order to treat bowel dysfunction, your physician may suggest drinking plenty of fluids (6-8 glasses a day), increasingthe fiber in your diet (cereals, whole wheat bread, fruits, vegetables, or fiber supplements), maintaining a routine for bowel evacuation and exercise. Your doctor may prescribe stool softeners, enemas and laxatives for constipation or medication to control diarrhea. Cognitive difficulties are seen in about 50% of cases of multiple sclerosis, and include difficulties in learning, memory, attention and concentration, visual perception, finding the appropriate words while speaking, information processing, planning and organization. Your long-term memory, general intelligence and reading ability remain intact. If you experience cognitive difficulties with multiple sclerosis it is necessary to contact your physician as there could be other causes such as ageing, drugs, depression, anxiety, fatigue or other health conditions. You may be referred to a speech pathologist, neuropsychologist or occupational therapist for further testing. Early detection and assessment are important for effective treatment outcomes, which could significantly improve your quality of life. Cognitive issues may be treated with memory exercises, notebooks, filing systems and organizers to help processing difficulties. Your doctor may suggest disease modifying drugs that alter the course of multiple sclerosis and reduce new lesions, which may slow the progression of cognitive issues. Medications used for Alzheimer’s may be recommended to help focus and memory. Depression is frequently seen in multiple sclerosis. It can arise out of the stress of dealing with multiple sclerosis, the disease process itself, which causes abnormal nerve communications to affect mood, or the side effect of drugs used to treat multiple sclerosis. The symptoms of depression include long periods of sadness, lack of energy, uncontrollable crying, feeling of worthlessness, lack of pleasure in activities, irritability, thoughts of death or attempting suicide, inability to sleep or a desire to sleep often. If left untreated depression may lead to suicide. If depression affects your activities of daily living and relationships, it is necessary to seek help from your doctor. Your doctor may rule out other possible causes of depression such as illness or medicines before proceeding with treatment. You may be referred to a mental health provider for a thorough examination. Your doctor may prescribe antidepressant medication in combination with psychotherapy to effectively treat depression. Fatigue is a common symptom in multiple sclerosis. It is an unusual lack of energy which cannot be relieved by rest and affects your participation in daily activities. It may be acute or chronic (lasting more than a month), and occurs every day, progresses during the day, can occur suddenly and is exacerbated by heat and humidity. When you consult your physician with fatigue that is affecting your daily life, your doctor performs various tests to rule out other possible causes of tiredness such as thyroid disease, anemia, depression, or a side effect of medication. Your doctor may suggest physical therapy to learn methods of conserving energy, occupational therapy to simplify your routine tasks, avoiding heat and techniques to cool down, stress management, and psychotherapy. Your doctor may also prescribe medications to help reduce fatigue. Multiple sclerosis is an autoimmune disease of the central nervous system (brain and spinal cord) affecting the myelin sheath which insulates nerve cells and is important for the transmission of nerve impulses. This causes the relay of information between the brain and the rest of your body to either slow down or stop and can lead to disabling symptoms such as muscle weakness, difficulty with coordination and balance, vision and speech difficulties, tremors, dizziness, and cognitive difficulties. If your symptoms have progressed to the point that you are significantly disabled, you may not be able to support yourself financially and should seek assistance by filing a disability claim with social security. Pain is present in about half of all people suffering from multiple sclerosis. It is more common in women. You may experience pain in multiple sclerosis due to immobility, wear and tear, and medication. When you present to the clinic with multiple sclerosis-related pain, your doctor will perform tests to rule out other possible causes of pain. You may be prescribed pain medication along with anticonvulsant or antidepressant medication. You are advised to exercise and stretch regularly to help with muscular pain. Other forms of pain management such as acupuncture, yoga, hypnosis, meditation and stress management may also be recommended. One of the common symptoms of multiple sclerosis is spasticity, which may range from mild stiffness to painful spasms of the muscles. It may cause lower back pain and decreased range of movement around the joints, and can lead to contractures (shortening of muscles producing frozen or immobile joints) and bedsores due to immobility. These complications can in turn aggravate symptoms further. Spasticity usually affects the legs, and may be brought on by sudden movement or changes in position, very hot or cold weather, tight clothing or infections. To treat your spasticity, your doctor may recommend physical therapy in order to strengthen and lengthen the muscles and retain mobility around the joints. Medication for spasticity may be prescribed. If pain is present with spasticity, appropriate treatment is given. Occupational therapy may be recommended to help you make appropriate changes to your daily activities. Braces and splinting may help with range of motion and flexibility. If these fail, your doctor may suggest surgery, which involves cutting the nerve supply to specific muscles to prevent spasm and releasing tight tendons. Adductors spasmodic dysphonia: Spasm causes the vocal cords to stiffen and close shut producing a strained voice where the words are cut off. Abductors spasmodic dysphonia: Spasm causes the vocal cords to open, producing a weak voice that sounds breathy. The cause of spasmodic dysphonia is unknown. It is thought to be due to brain abnormalities. Psychogenic and genetic causes are attributed in some cases. Dystonias or involuntary muscle movements of other parts of the body, may be associated with spasmodic dysphonia. Diagnosis is difficult because the symptoms are similar to other voice disorders, and is therefore made using a multi-specialty approach. Your doctor may pass a lighted tube through your nose to monitor the movement of the vocal cords during speech, review your voice for characteristic speech patterns and examine you for other dystonias. There is no cure for spasmodic dysphonia, so treatment is centered around alleviating symptoms. Your doctor may suggest injection of botulinum toxin (Botox) into the larynx, which may provide relief for 3 to 4 months. Voice therapy and psychological counseling may also be recommended. Your doctor may recommend the use of augmentative and alternative devices with the help of a computer to amplify or translate text into synthetic speech. Surgery of the larynx may be performed when conservative measures fail. Status epilepticus is a neurological disorder where a seizure lasts for a more than 5 minutes or occurs in clusters (closely spaced events) over a prolonged period with little or no recovery in between. It may be convulsive (associated with convulsions) or non-convulsive. It may occur as a result of stroke, low blood sugar, too much alcohol, changing or stopping medications or metabolic disturbances. Convulsive status epilepticus is considered a medical emergency as it can lead to brain damage and death if left untreated. Non-convulsive status epilepticus is rare and generally not considered a medical emergency, and may present as changes in mental status, vision, speech, fluttering eyelids and lip smacking. When you present with the above symptoms, your doctor will check your cardiac and respiratory functions, provide oxygen and start an intravenous line. Drugs are then administered to control the seizures. Blood and urine tests are performed to check your levels of glucose and electrolytes. If any underlying cause is identified, appropriate treatment is provided. A stroke occurs when blood flow is cut off from part of the brain. In the sameway that a person suffering a loss of blood to the heart can be said to behaving a “heart attack,” a person with a loss of blood to the brain can be said tobe having a “brain attack.” Brain cells can die from decreased blood flow andthe resulting lack of oxygen. There are two kinds of stroke, haemorrhagic andischemic. Haemorrhagic strokes are caused by bleeding within the brain.Ischemic strokes, which are far more common, are caused by a blockage ofblood flow in an artery in the head or neck leading to the brain. New treatments are available that greatly reduce the damage caused by astroke. But you need to arrive at the hospital within 60 minutes after symptomsstart to prevent disability. There are two major kinds of stroke, Ischemic Stroke and Haemorrhagic Stroke. Ischemic stroke is caused by a blood clot that blocks or plugs a blood vessel orartery in the brain. Haemorrhagic Stroke is caused by a blood vessel in the brain that breaks and bleeds into the brain. Warning signs are clues your body sends that your brain is not receivingenough oxygen. Other danger signs that may occur include double vision, drowsiness, andnausea or vomiting. Initial treatment of a stroke will depend on which type of stroke is occurring,ischemic or haemorrhagic. Although there is no cure for stroke, medical andsurgical treatments are available to minimize stroke damage and offer strokevictims hope for optimal recover. Surgery can be used to prevent stroke, to treat acute stroke, or to repairvascular damage or malformations in and around the brain. Sudden unexplained death in epilepsy (SUDEP) is a rare condition that usually occurs in young or middle-aged individuals with a history of epilepsy. Death happens suddenly and may not necessarily be preceded by a seizure. The cause is unexplained, but a possible explanation is that the region of the brain that controls the functioning of the heart or breathing is damaged by seizures. Death may be caused by a combination of apnea (difficulty in breathing), being face down on the bed and increased collection of fluid in the lungs, which impairs the exchange of gases. Your chances of developing this condition increases if you have severe and more frequent seizure attacks, have developed epilepsy at an early age and take multiple antiepileptic drugs in high doses. Males are more affected than females. You may reduce your chances of developing this condition by taking your antiepileptic medications as prescribed by your doctor, having regular doctor visits and avoiding triggers for seizures. Caretakers are advised to monitor you whenever possible, provide first-aid (turn you over to one side to facilitate proper breathing) and learn cardiopulmonary resuscitation (CPR). Tardive dyskinesia is a neurological side-effect of the long-term intake of neuroleptics, a class of drugs prescribed for gastrointestinal, neurological and psychiatric diseases such as schizophrenia and bipolar disorder. The condition is characterized by involuntary, repetitive movements of the face, lips, tongue, trunk, arms and legs. Movements may include tongue protrusion, rapid blinking, puckering and smacking of the lips, and swinging the jaw back and forth. Treatment usually consists of stopping the offending drugs and replacing them with more appropriate ones. Newer antipsychotic drugs have a lower risk of developing tardive dyskinesia. Early intervention has the best results, however, symptoms may persist even after withdrawal of the medication. Botulinum toxin and dopamine-depleting agents may be helpful in these cases. Todd’s paralysis is temporary paralysis following a seizure (abnormal electric brain activity). It usually occurs on one side of the body, and the area of the brain affected by the seizure reflects the part of the body that is affected by paralysis. The paralysis may be partial or complete, lasting from half an hour to 36 hours, after which it resolves on its own. Speech and vision may also be affected in Todd’s paralysis. Todd’s paralysis is usually seen in those with epilepsy (recurrent seizures). A tremor is an involuntary muscle movement characterized by shaking of a body part, usually the hands and arms, and difficulty holding and controlling objects. It may also involve other parts of the body such as the vocal cords and head. A slight tremor is normally present in all of us, especially the elderly. It increases when we are angry, fearful, under stress, fatigued, smoke, drink a lot of caffeine or as a response to certain medications. Tremors due to a neurological disease that do not resolve require medical intervention. Neurological causes of tremors may be due to conditions such as Parkinson’s disease and dystonia (a movement disorder); damage to the cerebellum (the lower part of the brain) due to stroke, tumor or disease; psychological disorders; and alcoholism. Tremors occur due to problems in regions of the brain that control muscles. Tremors may be resting tremors, which occur in a body part at rest, as seen in Parkinson’s disease, or action tremors, which may occur when holding a body part against gravity or performing a task. When you present with tremors, your doctor reviews your medical history and performs a physical examination to determine the characteristics of your tremor and if there is any underlying disease. Blood, urine and imaging tests such as CT or MRI scans may be performed. Neurological tests and electromyography may be ordered to assess motor and sensory skills. A tremor is an involuntary muscle movement characterized by shaking of a body part. A slight tremor is normally present in all of us, especially the elderly. Tremors due to a neurological disease that do not resolve require medical intervention. Essential tremor is a neurological condition which causes rhythmic shaking of a part of the body, especially the hands, when performing simple tasks such as writing or drinking from a glass. It is the most common type of tremor seen in those above age 40, and is not associated with any other disorder. Essential tremors may be an inherited condition due to genetic abnormalities. It may also occur due to changes in the part of your brain that controls muscle movement. Essential tremors usually begin slowly, mostly involving a hand and occur when you try to engage in a task. It is worsened with movement, fatigue, stress, stimulants such as caffeine, and temperature changes. Your head may be involved making rhythmic up and down or side to side motions. It may also affect your voice. When you present with essential tremor, your doctor will review your family and medical history and perform a thorough physical examination. Neurological tests, performance tests (perform certain tasks) and certain blood and urine tests may be ordered to look for a possible cause and to rule out other conditions. You may not require treatment if your symptoms are mild, but if you cannot perform activities of daily living your doctor may prescribe blood pressure or anti-seizure medications, tranquilizers or Botox injections. Physical or occupational therapy may be recommended to improve muscle control and coordination. Surgical techniques such as deep brain stimulation, where a device is implanted in your brain to reduce tremors, may be suggested if your symptoms are severe and other treatment fails.